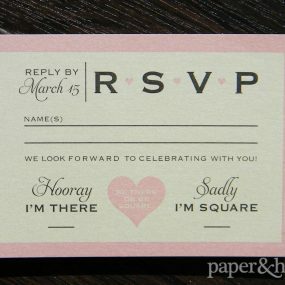 Aren’t these modern monogram wedding invitations adorable? Maybe it’s because their initials are the first two letters of “love” or it’s the little heart that binds them. Whatever the reason, we’re obsessed with this monogram! 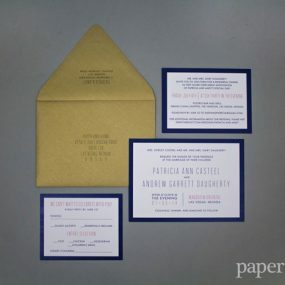 Lauren and Oliver approached Paper and Home for a modern invitation design. The color choice of purple and gray is excellent. This combination on a cream matte paper warms up a cool color combination, making for an interesting contrast. 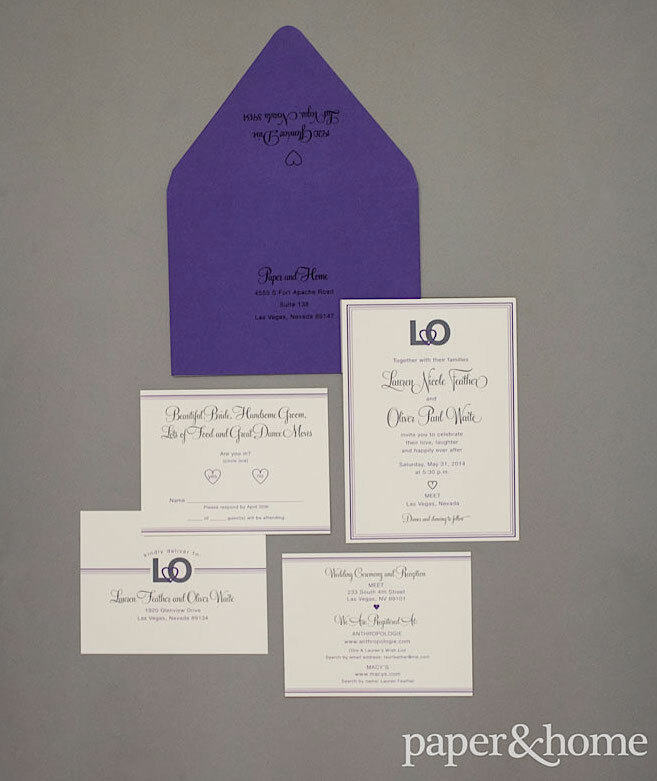 The layered purple border encloses the invitation nicely. The border carries over to the additional cards. 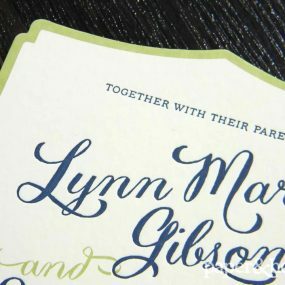 The lines grace the top and bottom of the reception card, and one side of the reply postcard. 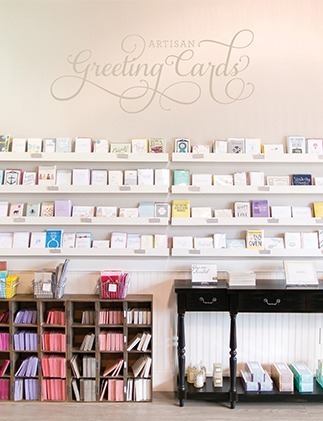 The other side of the reply postcard features the layered purple lines stemming from the modern monogram. 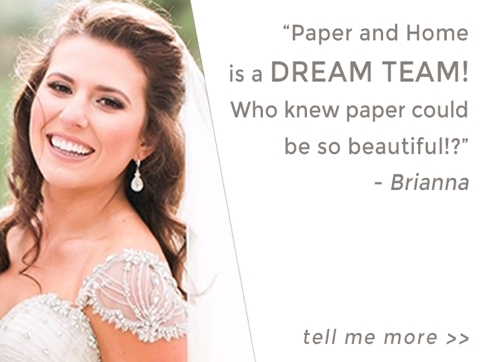 Lauren and Oliver were married on May 31, 2014 at MEET Las Vegas.